The Worlds of DC is set to expand with Warner Bros. and DC developing a feature film for Supergirl. The film is still in the early stages of development with no producer or director attached, however, a script is in development by Oren Uziel (The Cloverfield Paradox). First making an appearance in DC comics in 1959, Supergirl a.k.a. Kara Zor- El possesses all of Superman’s powers – super strength, flight, invulnerability, super speed, heat vision, freeze breath and X-ray vision. Her path differs from her cousin’s Kal El in that while escaping their doomed home of Krypton, her pod was lost in space. When she finally made it to Earth, her cousin had grown to become the man known as Superman, and she struggled with the duality of being a Kryptonian on a troubled and often violent Earth. Supergirl is currently portrayed by Melissa Benoist on the CW series Supergirl. The series created by Greg Berlanti, Andrew Kreisberg and Allison Adler first aired in October of 2015 and will be returning for its fourth season on October 14. Oren Uziel’s work includes Mortal Kombat, 22 Jump Street, The Cloverfield Paradox, as well as an untitled collaboration with The Quiet Place director, John Krasinski, Ben Affleck and Matt Damon. 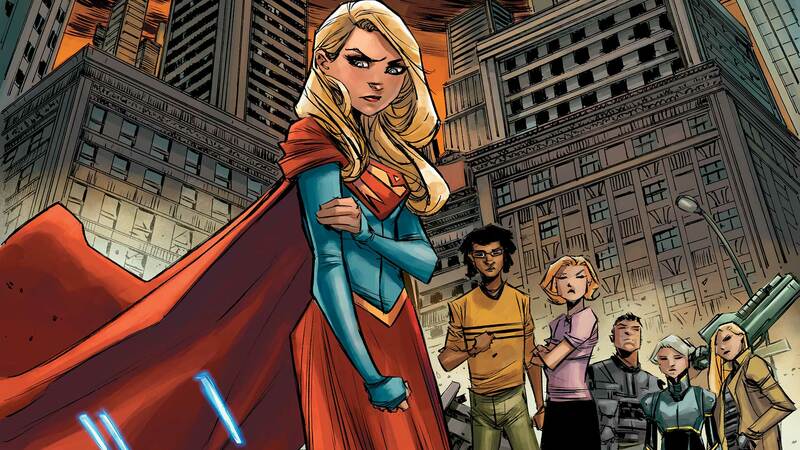 What are your thoughts on the possibility of a Supergirl film? Let us know in the comments below. This year will see DC release Aquaman, with Shazam to follow at the beginning of 2019. The Flash is also set to begin production in February starring Ezra Miller, with Jonathan Goldstein & John Francis Daley directing.